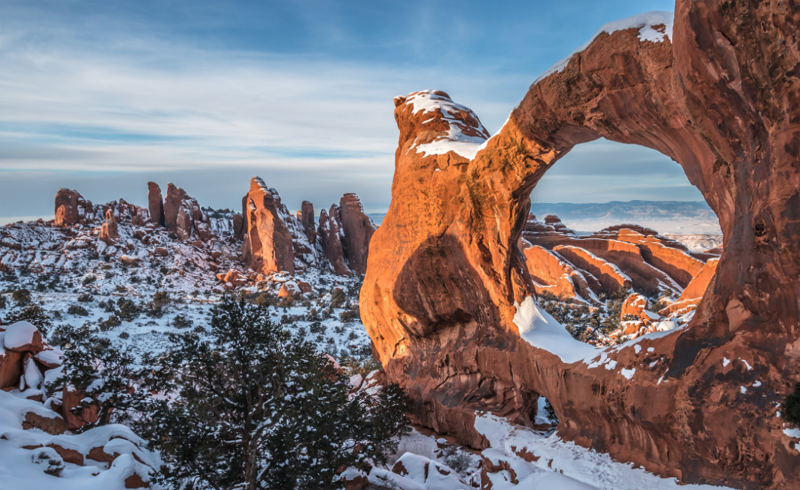 To kick off your Utah national parks adventure, fly into tiny St. George Airport and drive an hour to the town of Springdale, gateway to Zion National Park, where you can take advantage of winter’s cheaper hotel rates. Gear up at Zion Outfitters to hike The Narrows. You’ll need a dry suit, neoprene socks, canyoneering boots, and a wooden hiking stick. Drive straight into Zion—the park’s shuttles don’t operate in winter. Check river conditions with the rangers and park your vehicle at the Temple of Sinawava trailhead. Hike 1 mile on the paved Riverside Walk, then continue as far as 9.4 miles round-trip through the Virgin River. Colossal rock formations tower around you as you wade upstream. Continue on to Bryce Canyon and gaze across its vast amphitheater of hoodoos from the rim. Try to catch the view at both sunrise and sunset. During the day, rent cross-country skis or snowshoes for hiking along designated rim trails. Stay late for spectacular stargazing on clear nights and don’t miss a slice of pie at Bryce Canyon Pines Restaurant just outside the park. Satisfy a desire for glamping with a night at Escalante Yurts in Escalante. 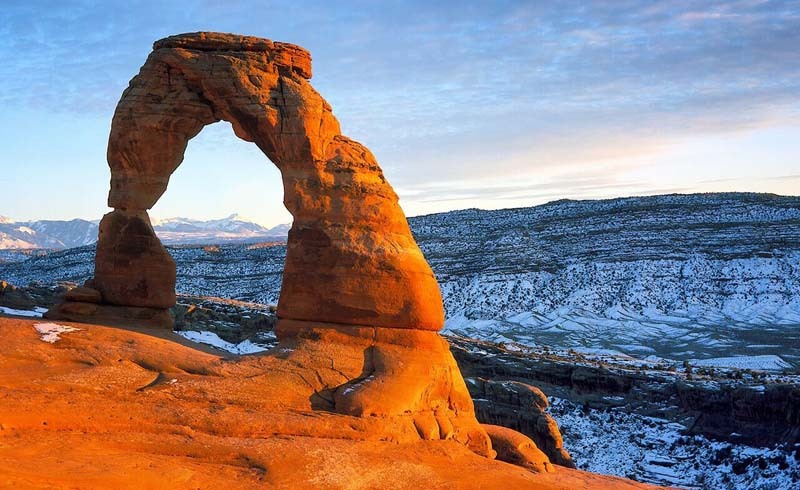 Take Utah’s Scenic Highway 12 through Grand Staircase-Escalante National Monument and be sure to stop at the pullouts for vast lookouts over the hills and mountains. If you’re interested in local history, pull into the Anasazi State Park Museum to learn about the ancestral Puebloans who occupied the area from A.D. 1050 to 1200. Check in at the Red Sands Hotel in nearby Torrey, UT. The park’s “reef” is named for the geologic fold of cliffs and canyons that stretch almost 100 miles. Rent a guide to try your hand at canyoneering (rappelling down cliffs and shimmying through slot canyons) or hike in solitude on one of the park’s many trails such as Hickman Bridge or Capitol Gorge. Finish your trip with a drive north to the Salt Lake City airport.